More rain is on the way, too. But snowpack is still hanging tough at 102 percent of average statewide, despite a warm February. 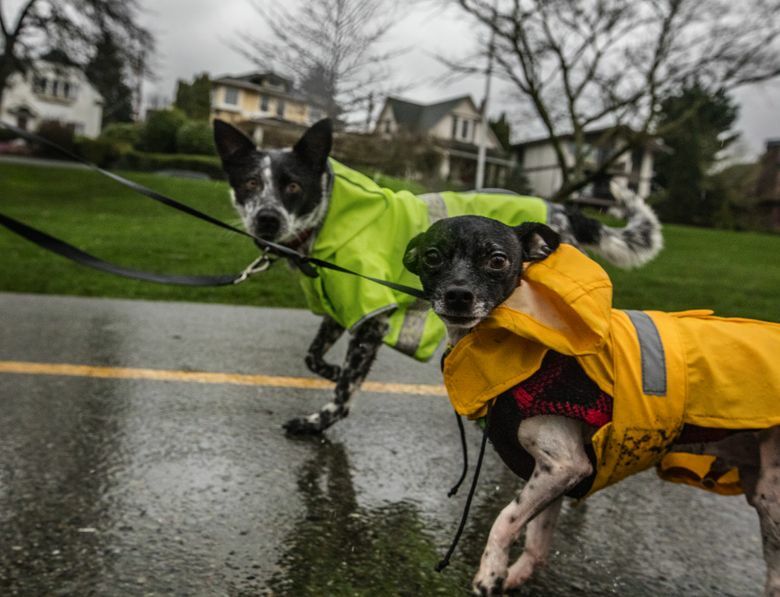 Seattle drowned its rain record Friday, setting an all-time high for our wettest rainy season ever. We’ve had nearly 2 feet of rain, or 22.97 inches, since Dec. 1, breaking the previous 22.77-inch record set in the same time of year in 1998-99. The record is for the period from December through February, called meteorological winter because it typically is the coldest stretch of the year. With more rain in the forecast, and more than a week left in the month, the old record is sure to sink even further. Meteorological winter differs from astronomical winter, bounded by the winter solstice and spring equinox. After all the predictions of a monster El Niño this year, expectations were for a warmer, drier winter. Warmer came through in spades, with temperatures in Seattle so far during the month of February running about 5 degrees above normal. “I have not needed a thick coat for a while,” said Nick Bond, state climatologist and senior research scientist with the Joint Institute for Study of the Atmosphere and Ocean at the University of Washington. “The part that needs some ’splaining is just how wet it’s been. Especially in December. The mountains were blessed with snow, with Snoqualmie Pass even setting a record for snow in one week between Dec. 18 and Christmas Eve. Scott Pattee, water-supply specialist for the Natural Resources Conservation Service based in Mount Vernon, said the state is still at 102 percent of average snowpack, despite warm temperatures in February bringing rain instead of snow. “It’s OK. It did take off some of the low- and mid-elevation snow,” Pattee said. “But it didn’t really hurt us up high.” Temperatures are forecast to drop this weekend, with 2 to 6 inches of snow forecast in the Cascades on Friday night and snow levels lowering to 2,000 feet. Pattee was glad for this winter after last year’s snow drought, when most of the precipitation came as rain rather than snow during a record warm season. That was followed by a freakishly hot spring, with temperatures hitting 113 in parts of the east side of the state, setting up what would turn out to be a historic Washington fire season. 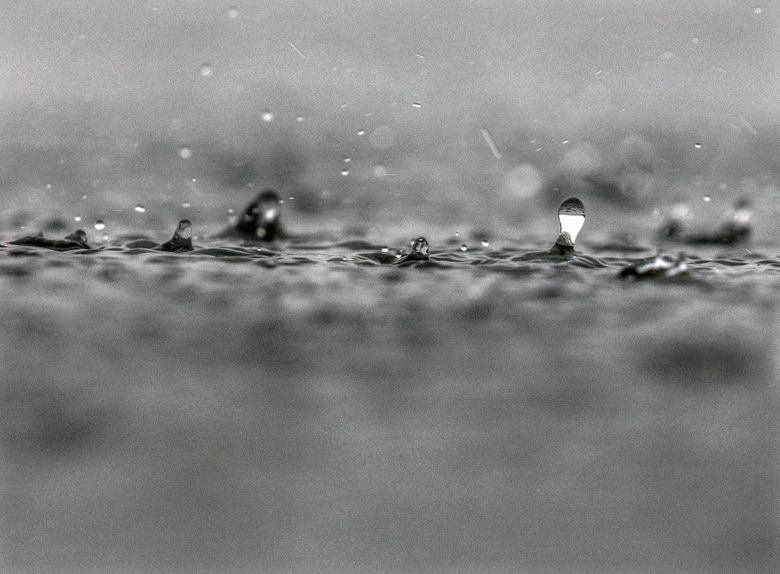 All that seemed very distant Friday, as raindrops bounced from the puddles because rain fell so hard. Stalwart Seattleites carried right on, the runners in shorts, the dogs in raincoats, and babies in strollers topped with clear, plastic curtains. At Green Lake, rowers sculled through rain strafing the water as wind pawed the surface. The bark of wet cedars glowed cinnamon brown, and puddles beckoned the stomp of a kid. Sick of it? Forecasts call for a drying trend, with the sun out several days next week.